to capturing new project ideas to gathering and sharing survey data and much more. User feedback told us how important it was that these embedded forms look and work great, especially when embedded in Google Sites.
. These are clickable graphics which link to other content within your site or at an external URL. Users often click on buttons more frequently than they click on in-line hyperlinks, so they are a good way to guide people to important content. For example you could add a “Contact Us” button to encourage users to get in touch with you. Now that you can add buttons with just a few clicks, we hope you’ll be able to more easily create attractive sites which guide users to relevant content. Visit our Help Center to learn more about how to add, edit, or delete buttons. We’re making it easy to add buttons to the new Google Sites. These are clickable graphics which link to other content within your site or at an external URL. Users often click on buttons more frequently than they click on in-line hyperlinks, so they are a good way to guide people to important content. For example you could add a “Contact Us” button to encourage users to get in touch with you. 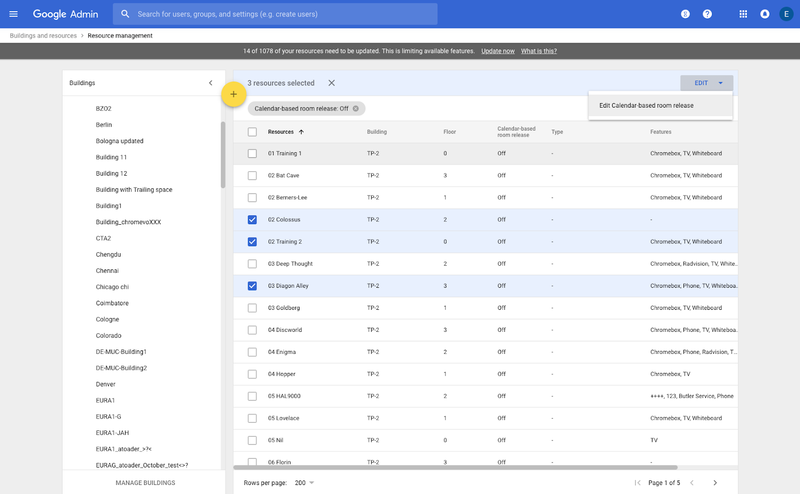 We hope this list, along with the Email Log Search feature, will help you identify why messages are being rate-limited and the appropriate actions to take. A malicious attack or misconfiguration can contribute to an unusually high rate of incoming email. 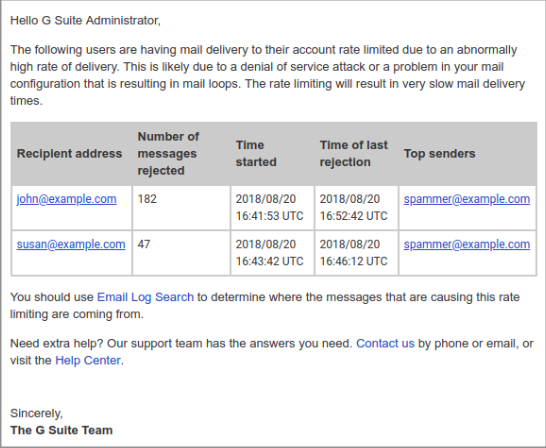 To protect your users, Gmail monitors this incoming email rate and, when it reaches certain email receiving limits, automatically rejects messages to impacted accounts. 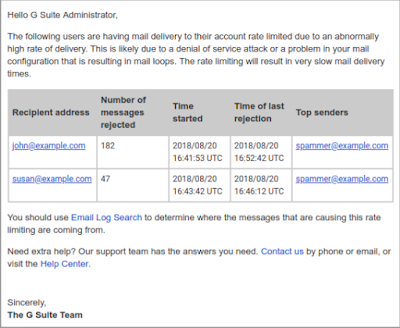 We want to provide G Suite admins increased visibility into this rate-limiting process. Going forward, if Gmail rejects 25 or more messages to a single recipient within one hour, we’ll send you a list of impacted users and and the number of their rejected messages. To receive this notification, you need to enable the rate-limiting email alert. Communication styles at work are evolving, and expressive communication modes are oftentimes preferred over simple text. Emojis, in particular, are a fun and effective way of accurately representing thoughts and feelings to help you build stronger personal connections with your team. To access reactions in Chat on the web, mouse over any message and click on the “Add reaction” icon. On mobile, long press on the desired message to see the “Add reaction” icon. You can now use emoji reactions to respond to any Hangouts Chat message. Reactions allow you to quickly and creatively react to any message to show support, humor or empathy. For example, you can use them to celebrate good news, acknowledge a request, take a quick poll, and more. 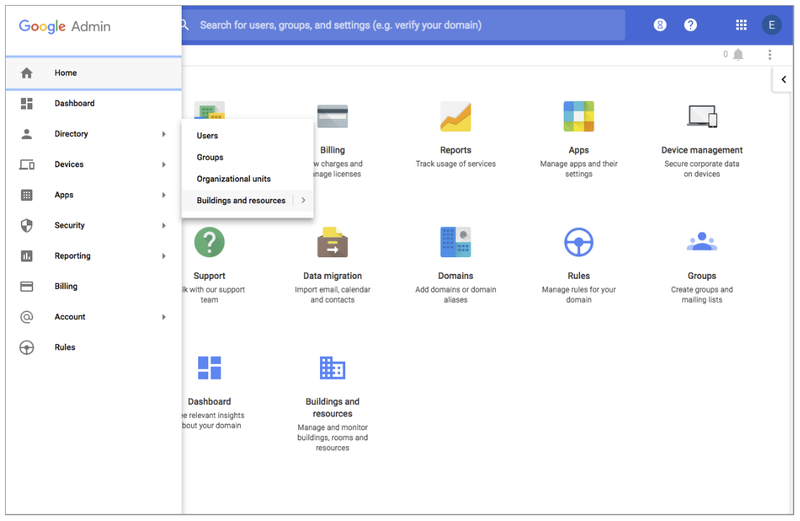 , and we hope that this integration will help you work more efficiently within and across G Suite. You’ll also see the side panel in Google Calendar, where you’ll be able to use Keep and Tasks. We’re adding a quick-access side panel to the Docs editors and Google Calendar to help you quickly access other G Suite products without leaving what you’re working on. A similar side panel has been a popular feature of the new Gmail, and we hope that this integration will help you work more efficiently within and across G Suite. 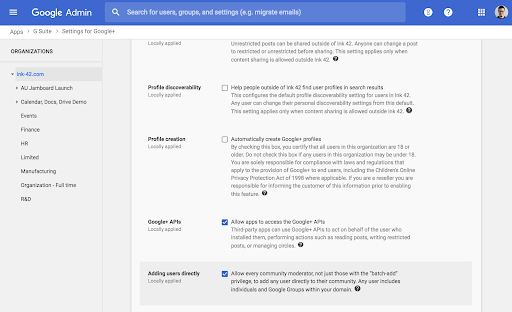 If you’d like to enable this setting for an OU or everyone in your domain, in the Admin console go to Apps > G Suite > Google+ > Advanced Settings. Here, check the "Adding users directly" checkbox. Please note: This feature will only be supported on domain-restricted communities. Additionally, users, groups, and group members that aren't part of the same domain as the community and users that have been banned from the community won't be added. 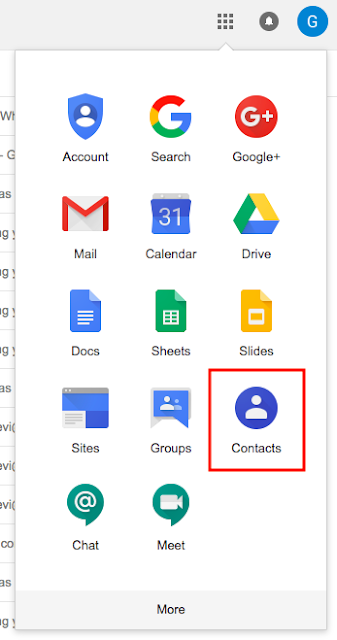 Check out the Help Center for more information on adding Google Groups to Google+ Communities. This feature is off by default. 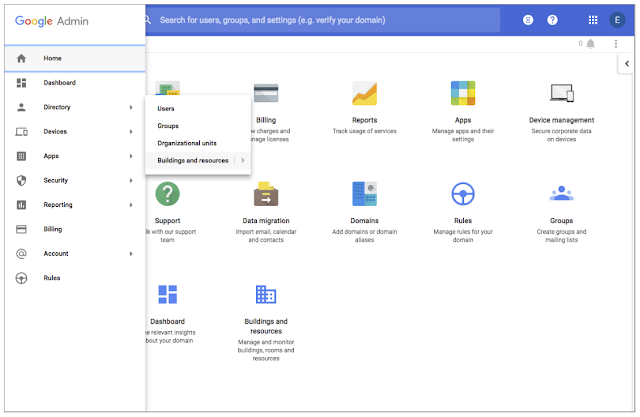 As a G Suite admin, you can turn it on for certain users, turn it on for certain organizational units (OUs), or turn it on for everyone in your domain. To enable this setting for select users, open the Admin console and go to Admin Roles. 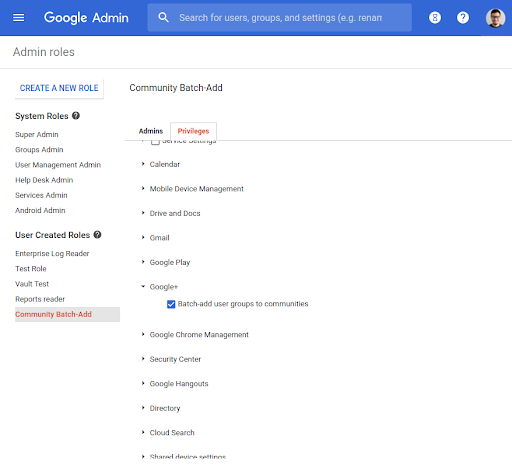 After selecting the appropriate user role, click “Privileges” and scroll to "Google+,” where you can then configure the “Batch-add user groups to communities" privilege for that role. feature available to all G Suite users. 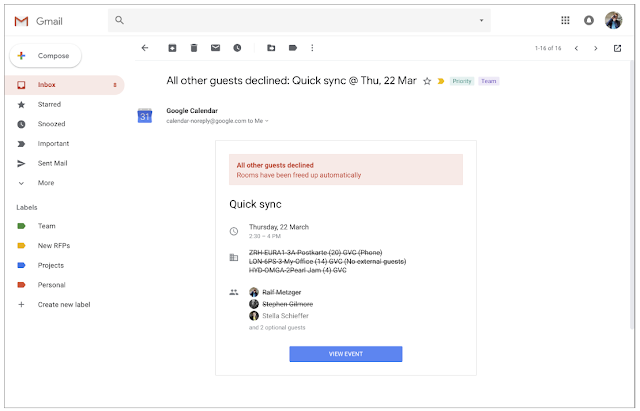 Previously this feature was not fully available to G Suite Basic customers. 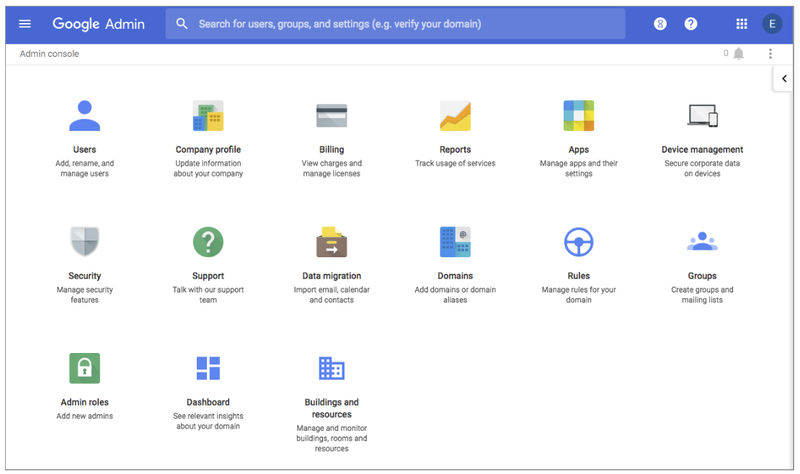 - Admin console settings are available today to Rapid Release and Scheduled Release domains. - User-facing feature will begin to roll out to Rapid Release domains on September 4th and Scheduled Release domains on September 18th. - Admin settings: Available now. 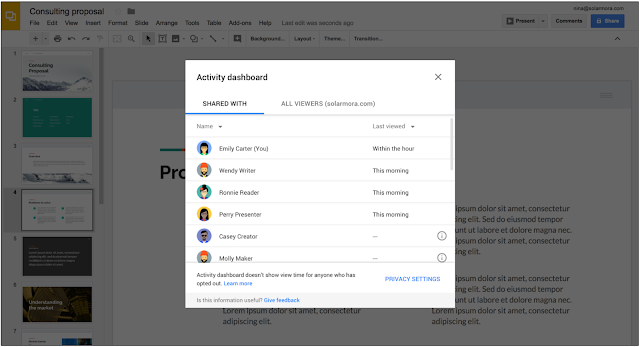 We’re making the Activity dashboard feature available to all G Suite users. 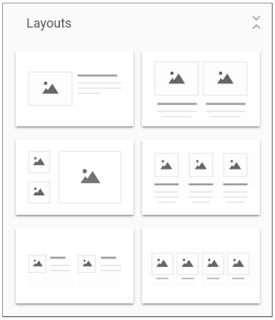 Previously this feature was not fully available to G Suite Basic customers.
. You can use these layouts to quickly design pages or sections of pages on your site. This makes it even easier and quicker to create professional-looking websites using the new Sites. At launch there are six pre-built section layout options. You’ll find them in Sites’ right-hand Insert menu. To use them, just click or drag the layout onto the page. A new section will be added to your site and auto-populated with placeholder content matching the layout. You can then add your own content and customize the layout to make it your own. 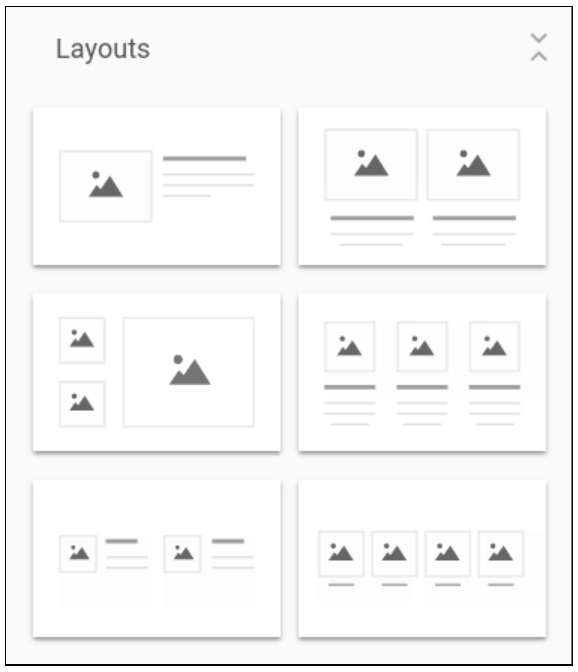 We’re adding section layouts to the new Google Sites. You can use these layouts to quickly design pages or sections of pages on your site. This makes it even easier and quicker to create professional-looking websites using the new Sites. Prevent the app’s data from being backed up to iCloud. 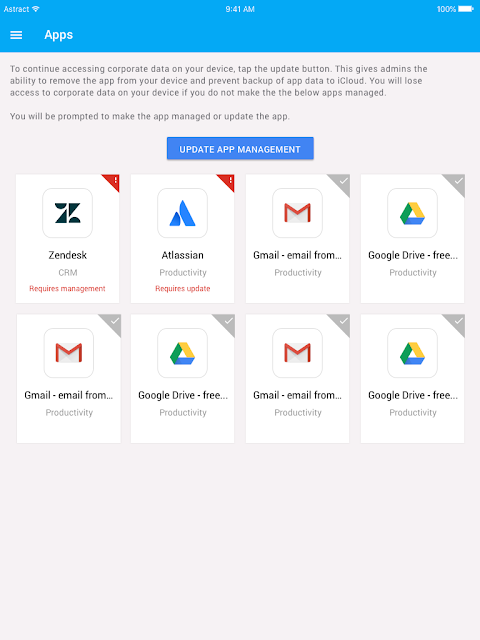 Block unmanaged apps from opening managed app files. Note that these actions will impact both personal and corporate data on managed apps. Visit the Help Center for more information on how to manage apps on iOS devices. When you whitelist a new app for iOS devices, you can now choose to “Make this a managed app.” Once you make the app managed, you can also select to have it automatically removed from a device if that device’s MDM profile is removed. 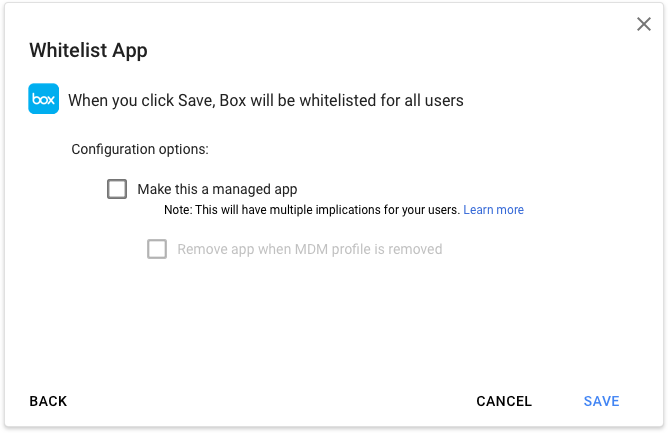 If you previously whitelisted an app, you can make it managed by changing that app’s settings in the Admin console. You can make an app you’ve already whitelisted managed by editing the app’s configuration in the Admin console. 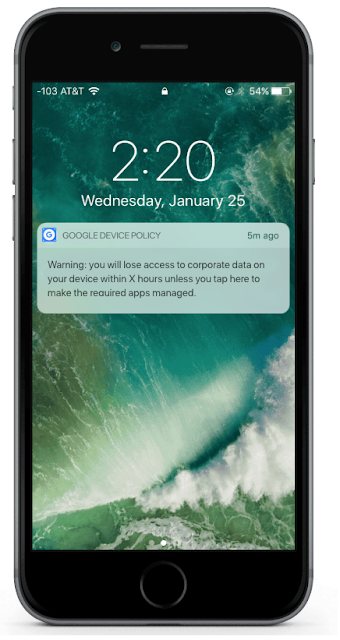 If you designate an app as managed, any users with that app downloaded will be prompted to update it in their Google Device Policy app. 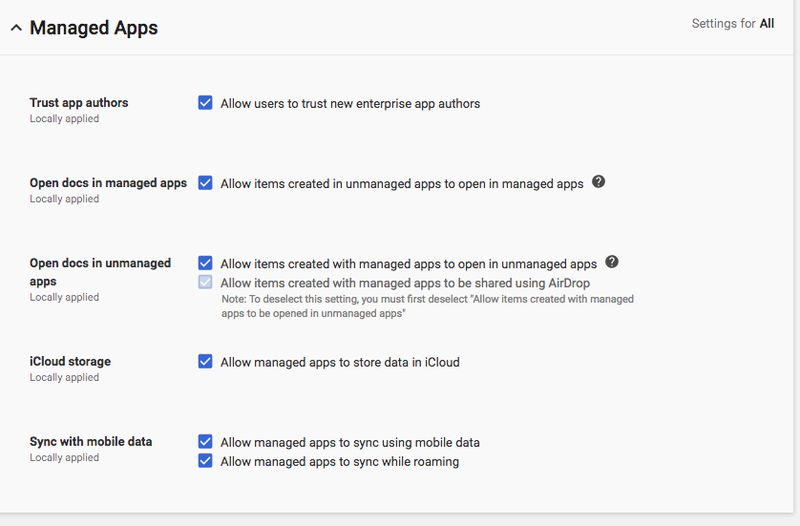 Users will be prompted to update apps that are marked as managed by their admins. 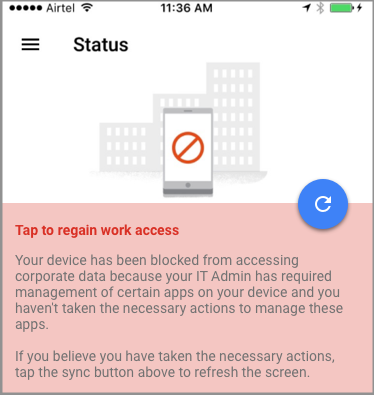 Users need to accept management of their apps or they’ll lose access to all corporate data on their phone. 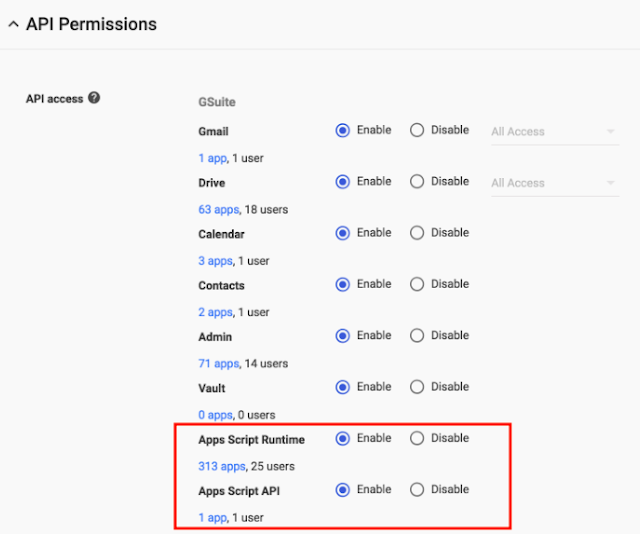 If a user doesn’t take action within 12 hours of receiving the notification, they’ll receive another notification prompting them to make the required apps managed. 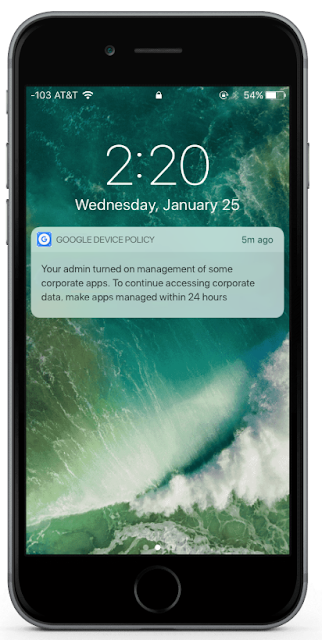 If a user doesn’t take action within 24 hours of receiving the notification, they’ll no longer be able to access corporate data anywhere on their device. 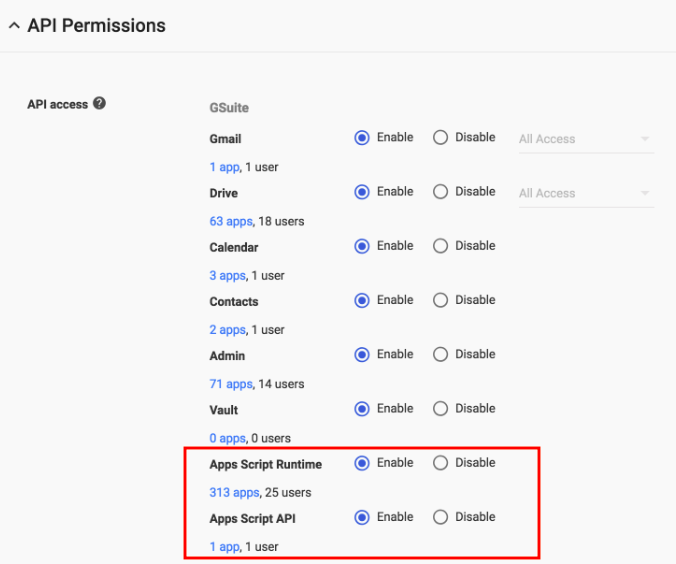 Note that if you make a previously managed app “unmanaged,” users will need to remove the Google Apps Device Policy Payload Profile before the app becomes unmanaged. To better protect the G Suite data stored on your employees’ personal iOS devices, you can now specify that certain iOS apps be “managed” if your domain has advanced mobile device management enabled. , our cloud-based, collaborative whiteboard, is available for purchase in an ever-growing list of countries such as the United States, Canada, UK, select parts of Europe, and Australia. We’re now expanding that list further, bringing Jamboard to Japan. G Suite customers in Japan can now purchase Jamboard for 640,000 JPY, which includes two styluses, an eraser, and a wall mount. See the table below for pricing. Keep in mind that a G Suite license is required to use Jamboard so that you can access files from Drive, use them in your brainstorms, and come back to your work later. G Suite customers based in Japan can contact their Google Cloud sales rep, our distributor, BenQ, or visit our website to learn more about how to start jamming with colleagues today. Usage of the Jamboard app and web viewer are controlled by a service on/off switch in the Admin console. This service switch is on by default. Over the past year, we’ve announced that Jamboard, our cloud-based, collaborative whiteboard, is available for purchase in an ever-growing list of countries such as the United States, Canada, UK, select parts of Europe, and Australia. We’re now expanding that list further, bringing Jamboard to Japan. We’re now bringing this same feature to the Gmail Android and iOS apps. If you currently have Conversation view turned off on the web, it will be turned off on your mobile app as well. Visit the Help Center for more information on how to disable Conversation View in your Gmail mobile app. In Gmail, replies to emails are grouped together as “conversations,” to make them easier to digest and follow. Some users, however, prefer to see each of their emails listed individually in their inbox. This is possible on the web by toggling “Conversation View” off in the Settings menu. Visibility into these actions will help admins identify suspicious account behavior and detect when user accounts may have been compromised. For example, an admin might see that a user has recently changed both their password and their password recovery info. This can be a sign of a hijacker taking over the account. Using these reports an admin could track time and IP address of the changes to see if it seems suspicious. Depending on their investigation, they could then take appropriate action (eg: password reset, disable 2-step verification) to restore the user account. Visit the Help Center to find out how to monitor user account activity and set alerts for suspicious actions. The new reports can also be used to provide visibility into an organization's security initiatives. For example, an admin could monitor the progress of a domain-wide initiative to increase the adoption of two-step verification. To see this report, go to the Admin console > Reports > Audit > Users Accounts. We’re adding new tools to help admins identify suspicious activity and see the impact of security policy changes. 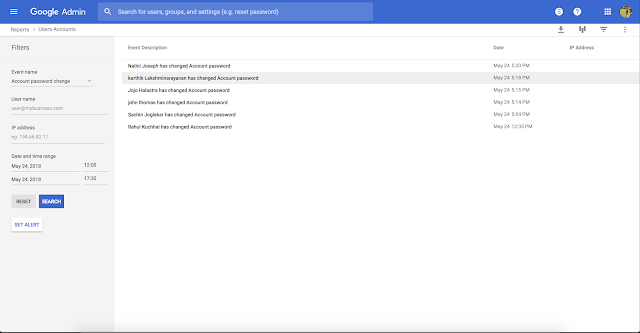 G Suite admins have an important role in protecting their users’ accounts and ensuring their organization’s security. To succeed, they need visibility into user account actions. 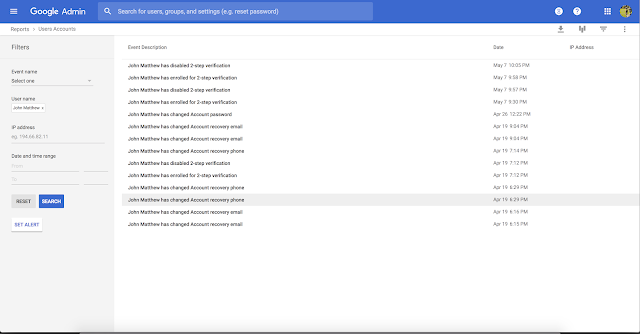 That’s why we’re adding reports in the G Suite Admin console that surface more information on user account activity. in 2017 so that customers could integrate Vault with the other tools and processes critical to their business. We’re now improving the API by making it possible to programmatically create and manage exports, in addition to legal matters and holds.
. If an admin chooses to turn the feature on, an email alert (to admins) is triggered when we believe a government-backed attacker has likely attempted to access a user’s account or computer through phishing, malware, or another method. It does not necessarily mean that the account has been compromised or that there was a widespread attack on an organization. Turn alerts on or off. By default, no alerts will be sent. Admins can choose to turn these on in the Admin Console > Reports > Manage Alerts > Government backed attack. Set up default notifications for these alerts. 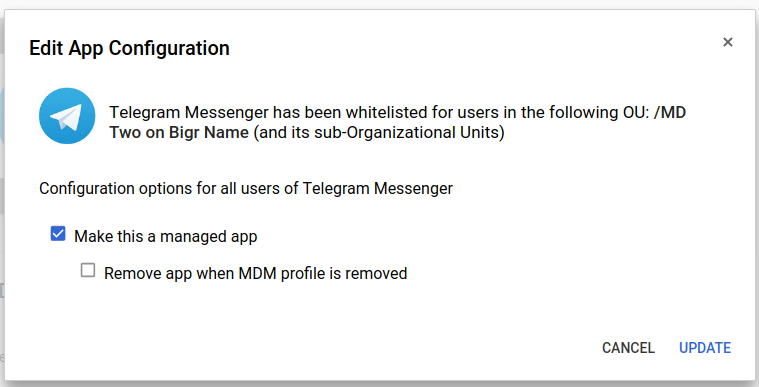 Admins can decide who gets notified when attacks are suspected. 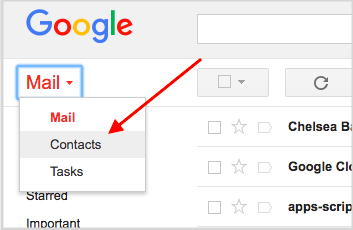 When the feature is first turned on, the default setting is for alerts to be sent by email to super admins of the G Suite domain. To change this, go to the Admin console > Reports > Manage Alerts > Government backed attack. Choose actions to take on individual alerts. Secure the account: Admins may want to take actions to secure the account. Alert the user: Admins may want to let the user know about the alert and any actions they have taken. 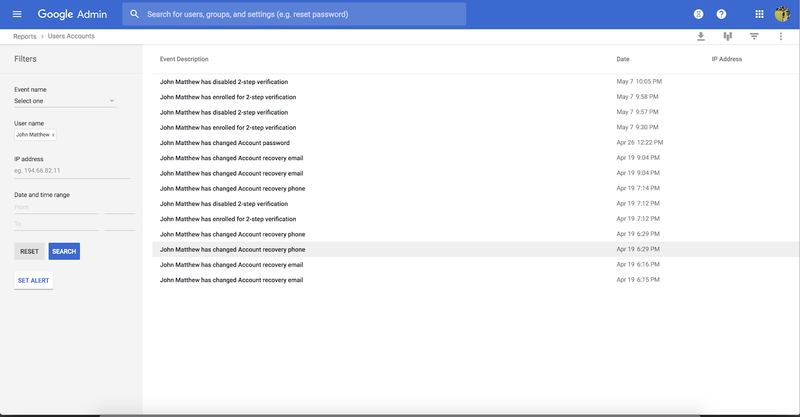 We’re adding a feature in the Admin console that can alert admins if we believe a user’s account has been targeted by a government-backed attack. If an admin chooses to turn the feature on, an email alert (to admins) is triggered when we believe a government-backed attacker has likely attempted to access a user’s account or computer through phishing, malware, or another method. It does not necessarily mean that the account has been compromised or that there was a widespread attack on an organization. 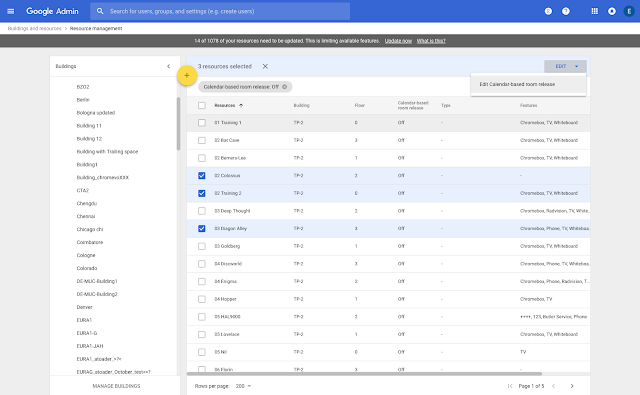 Check out the latest "What's New in G Suite" launch recap (pdf) for a roundup of all G Suite launches from July 2018.